Air Lift adjustable air helper springs level your load, and give your Half-Ton truck a safer, more comfortable ride. Air springs are easy to install between your axle and the vehicle frame. Just add air when towing or hauling a heavy load, and reduce air pressure when unloaded; they are fully adjustable for a great ride. Air Lift air springs eliminate sag, sway, and bottoming out. They are made with rugged, durable components for long, reliable service. LoadLifter 5000 kits are Air Lift's heaviest-rated kits for hauling or towing heavy loads. They have up to 5,000 pounds of leveling capacity, right up to the manufacturer's recommended Gross Vehicle Weight Rating, and are air adjustable from 5 to 100 PSI. 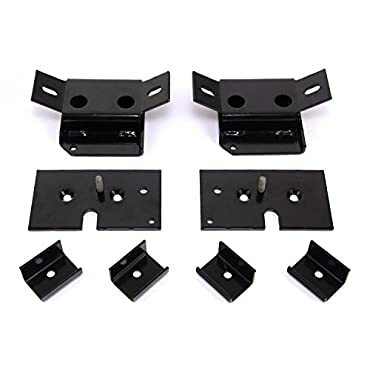 LoadLifter 5000 kits fit such popular vehicles as ton and one-ton pickup trucks, many Class A, B & C motor homes, and commercial trucks and other severe uses. They also come standard with a limited lifetime warranty and an exclusive 60 day ride satisfaction guarantee. 57272 Air Lift Air Bag Suspension Kit fits: 1999-2007 Chevy Silverado. 57272 Air Lift Air Bag Suspension Kit Features - Give your vehicle the smooth ride of a Cadillac without sacrificing your ability to tow like a Kenworth with the ingenious Air Lift Air Bag Suspension Kit. This fully adjustable air bag (aka air spring) system lets you fine-tune the firmness of your suspension: add more air when you're towing or hauling, and let it out when you're commuting. Your Air Lift Leveling System is custom engineered for your specific year, make and model. Ride on air (literally) and say goodbye to sag, trailer sway, body roll, bottoming out and rough ride with the ingenious Air Lift Leveling System. Fill both sides evenly or bolster one side when you have an off-center load. Air Lift Air Bag Suspension Kit - $ave Now + FREE SHIPPING! Air Lift 57272. Air Lift 57272 Air Springs, Load Lifter 5000, Rear, Chevy, Kit -- Summit Racing Orders Over $99. Receive Free Shipping. Air Lift New Kit Helper Spring Rear Driver & Passenger Side Chevy LH RH -- Hassle Free Returns. Free Fast Shipping. Air Lift 57272 LoadLifter 5000 Leaf Spring Leveling Kit Rear -- Jegs ? Selection, Value, Lifetime Support Since 1960? Store: New Level Motor Sports Inc. 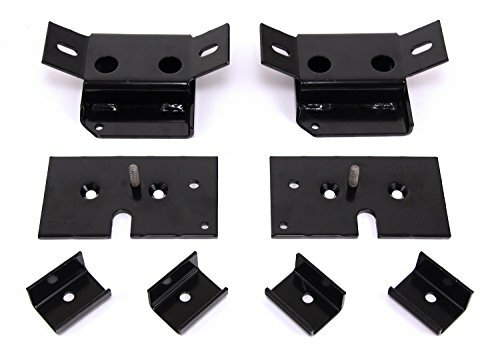 Condition: Brand New Price: $334.87 Total Price: $334.87 Buy It from New Level Motor Sports Inc.
Air Lift 57272 Load Lifter 5000 Leaf Spring Leveling Kit Fits 03-07 Chevrolet -- Authorized Air Lift Dealer. Fast & Free Shipping! Air Lift LoadLifter 5000 Adjustable Air Spring Kit; 57272 -- Authorized Dealer - 30 Day Returns - Huge Selection!